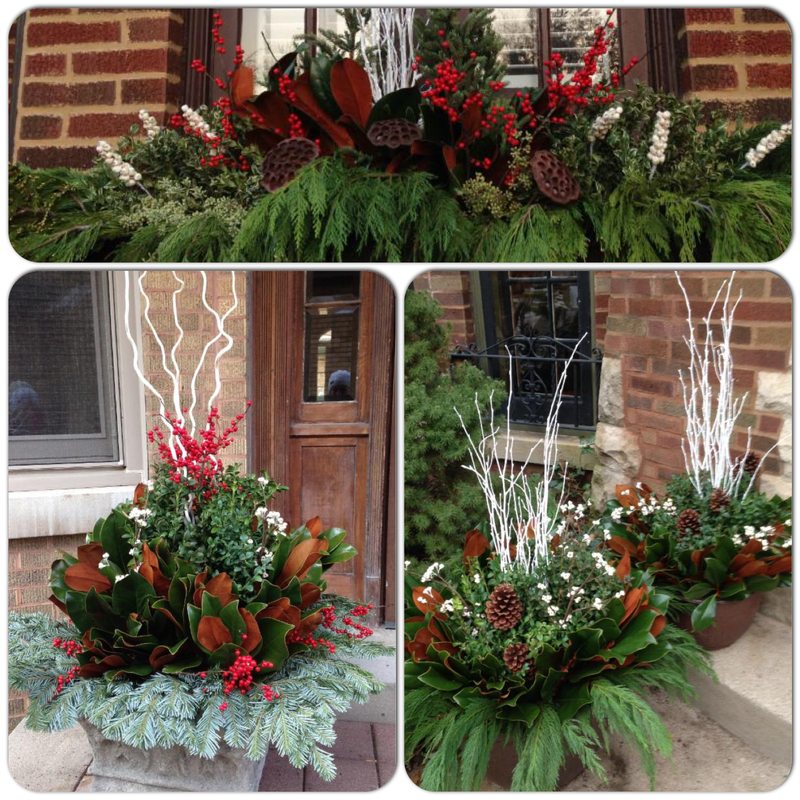 A beautiful way to greet family, friends and guests to your home. 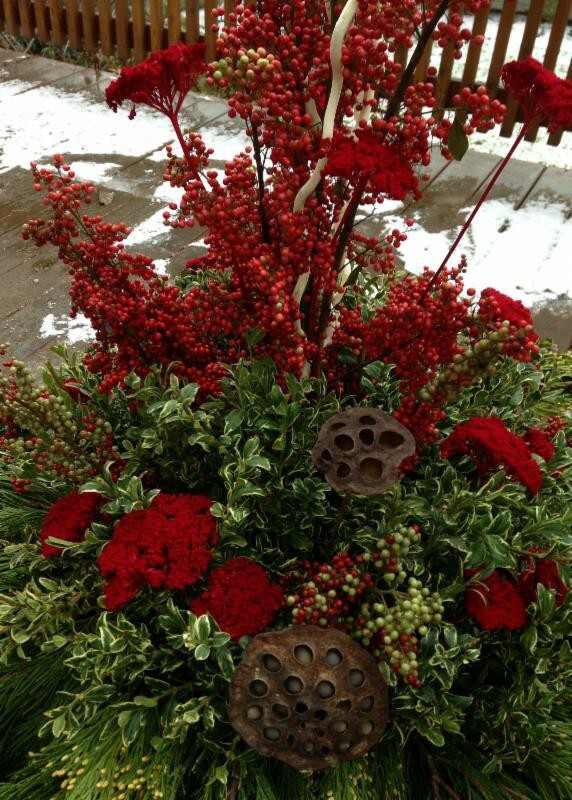 The vibrant red in these lovely Winter containers will warm any landscape, porch or window during the cold Winter months. I noticed these arrangements in a newsletter I received last month and was instantly drawn to its elegance. I imagine myself sitting outside with my cup of hot chocolate, staring and soaking in the beauty. Of course, after some time, I would need to go back inside to thaw out my old bones. But it would be worth it!